Here’s a quick look at the major changes. 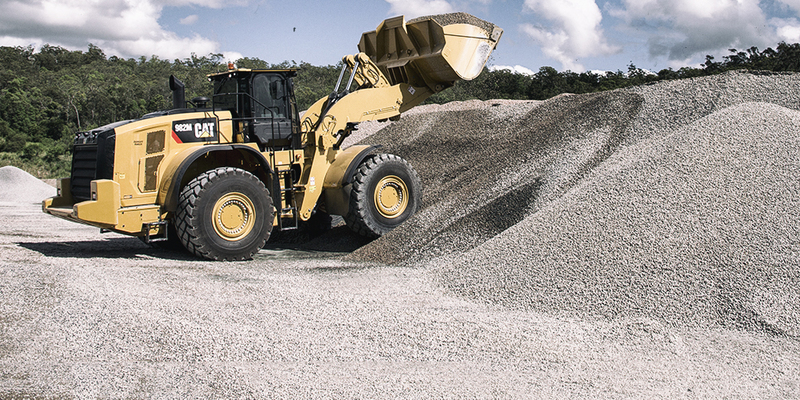 Cat Production Measurement, a Cat Connect Payload technology available on selected Cat machines, has been expanded to include the Advanced Productivity app, an optional web-based tool available through VisionLink®. The app uses data from the loader’s onboard sensors to determine what, where, when and how the machine is performing specific tasks. The information is presented in simple visual displays, making it easier for operators and site managers to understand and optimize each loader’s production output. Other upgrades to Cat Production Management include extra data storage, wireless updates of material and truck ID information, a basic mode that simplifies the payload screen and new functionality that allows data to be tracked by operator name. A new deluxe seat features a leather headrest and inserts, plus two-level heating and ventilation in both the seat and seatback. A lumbar support adjustment also improves comfort. A removable, washable cover is available to keep the seat in like-new condition. The new Cat Autolube system simplifies maintenance and service. It includes a ground-level fill point and serviceable hoses that are fully integrated with the 982M’s electronic architecture, making it easier to track fill level and fault codes through the touchscreen display or VisionLink. In addition, LED lighting is available to illuminate key maintenance points. Contact your Cat dealer about the 982M or learn more here.